I have both upper and lower overloads on my truck. Which StableLoad should I go with and is one recommended over the other? The better value is the Quick Disconnect StableLoad® as it offers the ability to engage and disengage with ease. We generally recommend going with the Quick Disconnect StableLoad (A7310 no drill or A7311 drilling required) whenever possible as the lower Overload offers a shorter, thicker spring which offers a greater spring capacity and ultimately offers increased handling while retaining the ability to disengage when unloaded for a nice comfortable ride. The bottom overload spring has a higher spring rate which offers approximately 30% better overall handling when compared to the thinner lower spring rate of the upper overload. I have both upper and lower overloads on my truck. Can I use both the upper and lower overload StableLoad? Due to the effectiveness of the StableLoad, using just the lower overload set on the average vehicle will generally suffice. In some instances though, you may decide to later add the Stableload for the upper overload and run both upper and lower overload StableLoads if you may feel that you would prefer some extra support. In either case, we would recommend trying out the lower Quick Disconnect StableLoad first before making your decision. Can I use StableLoads and not have to invest in airbag overloads? Yes. StableLoads are the lowest cost, most effective and highest return suspension modification on the market. The StableLoad does two things. One. It dramatically improves the handling characteristics of your loaded vehicle by "pre-loading" the factory overload spring. And two. By "pre-Loading" the factory overload spring; it effectively reduces the amount it would initially sag under load. There are many Stableload users that tow or haul and do not use airbags. Running the Stableloads without Airbags is often all that's needed to avoid having to go with just airbags alone as airbags can be very costly and can in some cases seriously reduce the handling and safety. I have airbags on my truck already. Do I really need StableLoads? StableLoads and airbag overloads are two different things. Airbags are designed for Leveling and not designed for the overall stability of the vehicle. The downside to airbag overloads is that they accomplish all this by lifting the weight off the factory-engineered suspension. Your vehicle engineers designed the weight to be carried over the progressive 4' rear leaf springs. On any heavy towing or hauling set up, to level the vehicle with airbags means you have to take a majority of the weight off of the factory suspension and are now carrying that weight on an area roughly equivalent to the size of a two footballs. Airbags mount directly over the axle and also mount to the frame, effectively bypassing the suspension. This is why you can actually experience a considerable increase in unsafe handling such as sway, porpoising (bucking) and body roll even though the vehicle is now closer to level with the airbag overloads engaged. Will using the StableLoad damage my suspension or truck? Not at all. Your vehicles suspension has undergone a multitude of tests by factory engineers to ensure many years of reliability and usability. Our StableLoad essentially engages the overload sooner to activate the overload even under smaller weight loads which allows the chassis frame to remain nearly level and provides better steering alignment and offers far greater safety and superior handling when loaded. I have a 4,000 lb. heavy load in my vehicle. Will adding the StableLoad allow me to carry more weight? Will this increase my weight capacity? It's important to remember that each vehicle model has gone through extensive testing and engineered for that vehicles specific rated capacity. The vehicle manufacture will at no time modify the rated capacity of the vehicle after it has left the factory, even if aftermarket accessories are used to enhance the safety and handling, the factory rated capacity can never be altered or increased. The StableLoad is designed to dramatically improve the stability of the vehicle and not increase the factory rated weight capacity. How long does it typically take to install the StableLoad and can I do it myself? Depending on the StableLoad you are installing and your mechanical ability. The StableLoad by no means is hard to install. 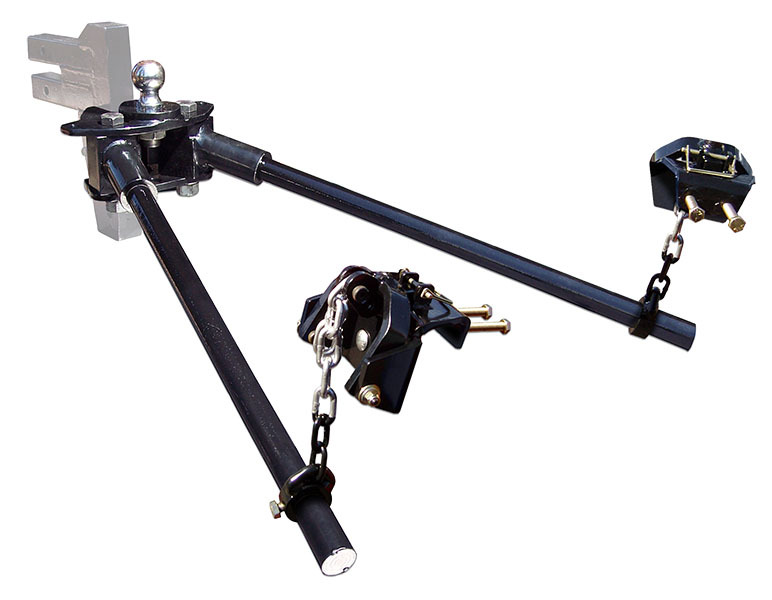 Each StableLoad kit requires minimal tools such as two wrenches, a hand drill, a jack and jack stands and can be installed by yourself in a garage or in your driveway. The upper overload StableLoad will typically take 30 min or less to install. The lower overload Quick Disconnect StableLoad w/ drill kit will typically take around 15 min to drill each hole and both lower overload Quick Disconnect StableLoads take 30 min or less for the actual install. Should I install all four or just two out of the kit? Most vehicle manufactures have engineered the overloads as a progressive overload system, which increases the overall suspension capacity incrementally as more weight is being added. We recommend using all four StableLoads when possible, but in those rare instances where only two can be utilized, it is better to use two than none at all. This will give you the best overall performance. I'm looking at using the Quick Disconnect for the lower overload. I only have 3/8" clearance between my main leaf spring pack and lower overload. Will the Quick Disconnect StableLoad still work for me? Yes. 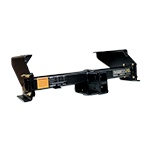 The Quick Disconnect StableLoad utilizes specially designed wedge plates that contact both main leaf spring pack and lower overload surfaces. 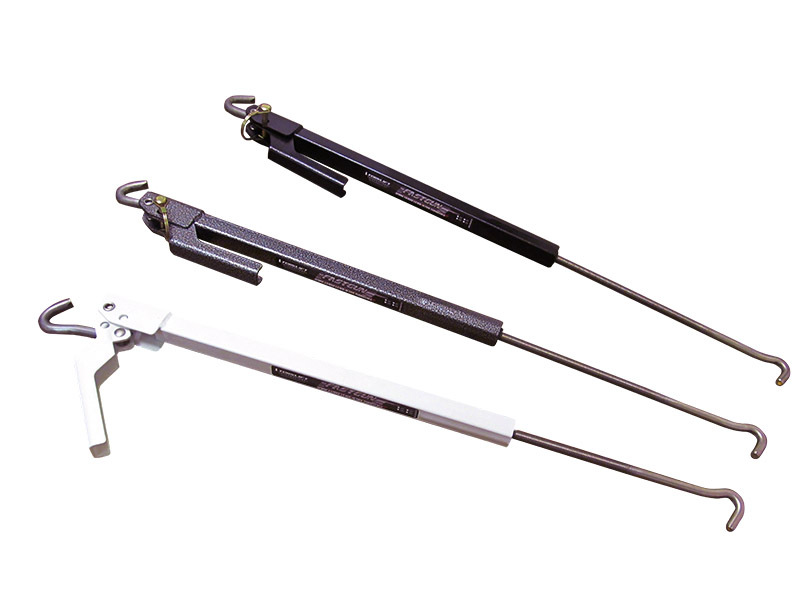 The Quick Disconnect StableLoad comes assembled with a wedge pack and has three individual wedge plates in each wedge pack that are designed to be able to be removed one at a time (as needed) to accommodate applications where the space between the lower overload and main spring pack are limited. Each individual wedge plate is 1/4 inch thick and has special tapered edges built in. The Special tapered edges of the wedge plates assist the StableLoad to engage by allowing it to "scissor" the wedge pack in between the overload and the leaf spring. In this particular case, you would use two wedge plates instead of all three. While hauling a heavy load in my vehicle, it tends to lean to one side possibly due to the extra weight of the slide out. Will the StableLoads help with this? Yes. The Quick Disconnect StableLoad can be adjusted as it comes with 3 ¼" wedge plates. When installing the Quick Disconnect StableLoad, make sure that the heavy side of the truck utilizes as many of the three wedge plates in the wedge pack as possible and on the opposite side of the truck, remove one of the wedge plates and test drive with the truck loaded and adjust to your specific taste. I am looking at my overloads and they seem to be in contact with the main leaf spring pack. Can I use the StableLoad? The StableLoad® was designed for use on vehicles with a healthy leaf spring suspension. As suspensions wear down they sag and the gap between the overload and main spring pack decreases and in some cases there is no gap left. Make sure when measuring your overload to main leaf spring pack gap that your vehicle is empty. If you have airbag overloads on the vehicle, you can fill them up to increase the gap between the overload and main leaf spring pack (or the gap for the upper overload contact pad if you are using the Stableload for the upper overload). Whether your vehicle has a gap or does not have a gap, the handling improvement will still be dramatic, however on vehicles with limited or no gap the StableLoad can potentially stiffen the suspension and may result in a tougher time engaging and disengaging (Quick disconnect Stableload only) and in some cases can lead to somewhat stiffer suspension ride when the vehicle is empty. Tell me more about StableLoads on vehicles with aftermarket airbag overloads. Your vehicle factory suspension was designed by the vehicle engineers to carry the payload on the leaf spring suspension. Overloads such as airbags can help a vehicle that is towing or carrying a heavy payload by keeping the vehicle level. Leveling improves braking by shifting more weight onto the front wheels due to a forward shift in the center of gravity. Airbag overloads can also help by keeping the vehicle front alignment closer to specification as again the vehicle is closer to a stock level stance. As stated above, the StableLoad dramatically improves vehicle handling characteristics by "reactivating" the stabilizing affect designed into the rear springs by keeping them actively under load the way your vehicle factory engineers designed them to operate. The StableLoad accomplishes this and functions equally as well when used with or without airbag overloads. For vehicles that do not yet have airbag overloads we recommend starting with the StableLoad prior to investing in airbags. The StableLoad costs up to 50% less, when compared to other suspension upgrade products. Further upgrading or product additions for vehicle suspension is the responsibility and made solely at the discretion of the vehicle owner/operator.